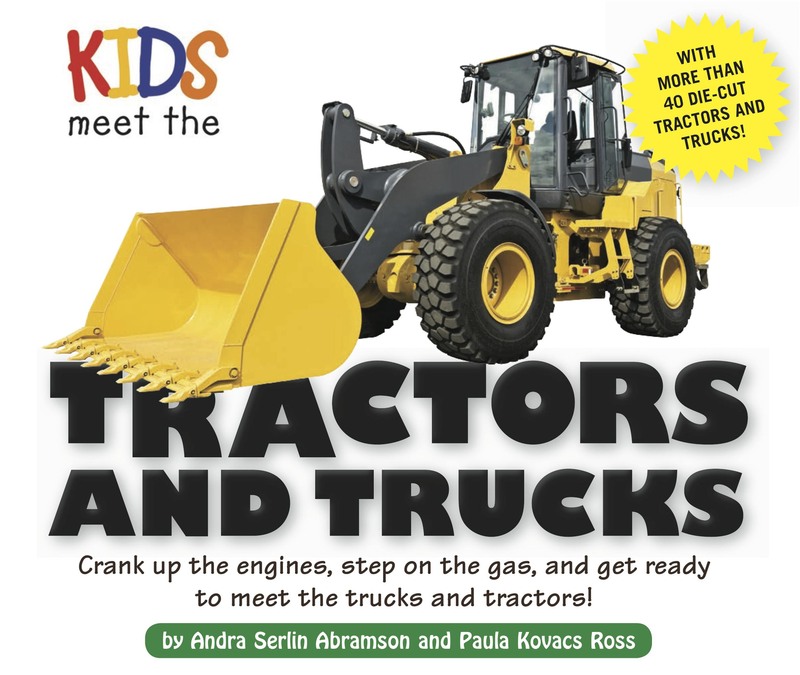 Kids Meet the Tractors and Trucks features amazing photographs of all the different sorts of rigs, trailers, tractors, and more that fascinate children. This fun, lay-flat book showcases different trucks on full-color, die-cut, 2-page spreads. A new die-cut on every spread! They tower over us, moving our food and goods where they need to go. They roll past us on the highway, metal hubcaps gleaming. They shake the ground as they pass. They lift, carry, push, pull, and more. Trucks and tractors never fail to amaze, and in this book, they roar to life as they seem to pop off the die-cut pages. Each spread features a new truck on the road, on the farm, in the city, or on the construction site, and is jam-packed with informative and interesting facts presented in a reader-friendly manner that’s easy for kids to understand.